The PR profession is suffering from an over-reliance on case studies showcased at industry awards events and should be taking a more strategic approach, the UK Government's top comms executive has warned PR360 attendees. 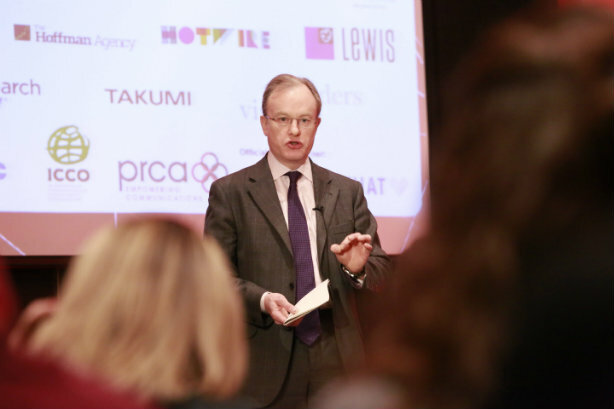 Speaking at the PR360 Global Festival and Awards in London yesterday, Alex Aiken, executive director for UK government comms, told delegates: "My view of where we are with PR today in the UK is that it is blighted by an excess of case studies." He said: "I am beginning to come to the conclusion that there are too many case studies and not enough strategy." PR is often not used as effectively as it should be, and relies too much on simply getting coverage, with a "relative lack of leadership" in the profession, according to Aiken. "We do business with lots of PR agencies in government and they come to us with their fluffy consumer ideas and we say 'no, this is government, this is rough stuff'," he said. When he became the most senior comms professional in the civil service in 2013, government comms had been slashed to half its previous size with the loss of around 2,500 jobs. One reason for the decision, which was taken by the coalition government that came into power in 2010, was that the function could not prove its value to ministers and officials, he said. "Therefore, I have an absolute focus on evaluation," explained Aiken. Speaking of the upcoming referendum on the UK's membership of the EU, he said: "Each of us has one vote on 23 June and part of my job as a civil servant is to make the case, through PR channels and other channels, as to why we should stay in the European Union."